Duo Necklace Moon, JET/CRY/ROS. Lengde: 34 cm. 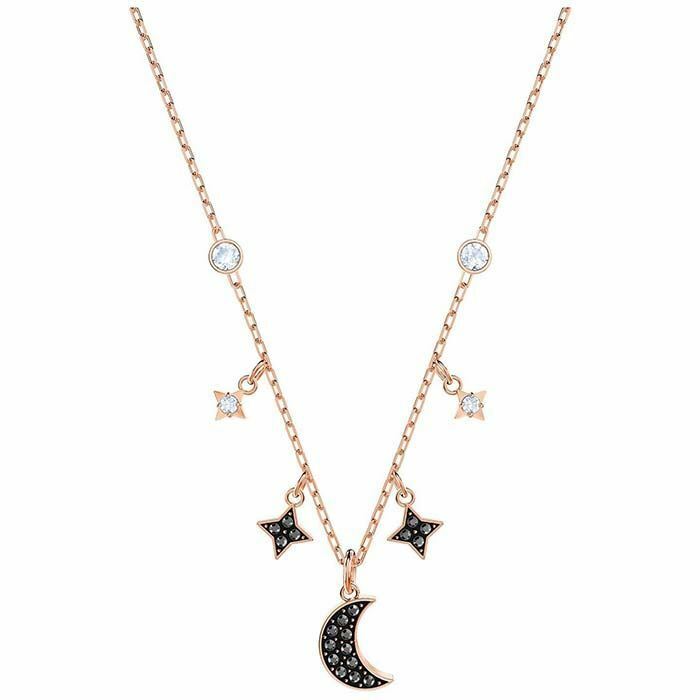 The beauty of the moon and stars is stunningly captured in this coolly romantic rose gold-plated necklace. Dripping with crystal-laden symbolism in dark and light tones, this astronomically-inspired design feels both bohemian and luxurious. 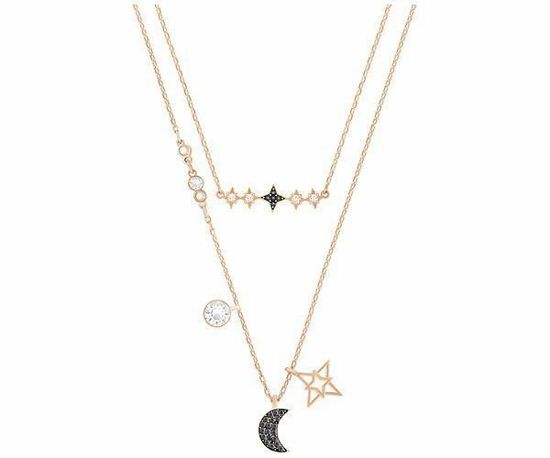 Perfect for layering with other necklaces in your collection, it can also be accessorized with the matching bracelet and ring.